On March 29, 1912, 36-year-old homemaker Mary Abrams died from an abortion perpetrated by Mary D. Lunnemeyer that day. Lunnemeyer's profession is identified only as "abortion provider", so it's likely that, unlike the majority of abortion perpetrators in that time and place, she was a lay abortionist rather than a physician or a midwife. She was arrested March 29 and held to a Grand Jury, but the case never went to trial. On March 29, 1924, 30-year-old Etta Marcus died at Chicago's Francis Willard Hospital (pictured) from complications of a criminal abortion performed that day. The coroner concluded that Dr. William J. Wick had performed the fatal abortion at his office. However, on April 10, Wick was acquitted for reasons I have been unable to determine. Abortions in Chicago in that era were typically perpetrated by either doctors or midwives. 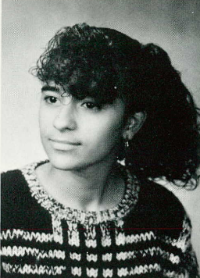 Venus Ortiz died in a nursing from lingering abortion complications at age 29 on December 16, 1998. The abortion had been performed five years earlier by Dr. Leiber at Eastern Women's Center in New York, NY and she had remained in a vegetative state, in need of a respirator, until her death. A suit filed by her survivors alleged that there was negligence in administering anesthesia to Venus, and failure to establish an airway. Brevital, fentanyl, and midazolam were administered in dosages and manners contrary to standards of practice, causing Venus to suffer a synergistic reaction. Eastern's staff failed to promptly diagnose and attend to cardio-pulmonary arrest. Abortion-rights groups have been fighting to halt laws that would treat abortion clinics like ambulatory surgical centers. The abortion lobby insists that regulations such as size of doorways and hallways and elevators are just nit-picky and have nothing to do with women's well-being. What they don't want you to know is why these size requirements are included in ambulatory surgery center regulations. If a patient is having a life-threatening emergency, EMS workers need to be able to get the patient onto a gurney and perform resuscitation efforts while moving the patient from the procedure room into the ambulance. 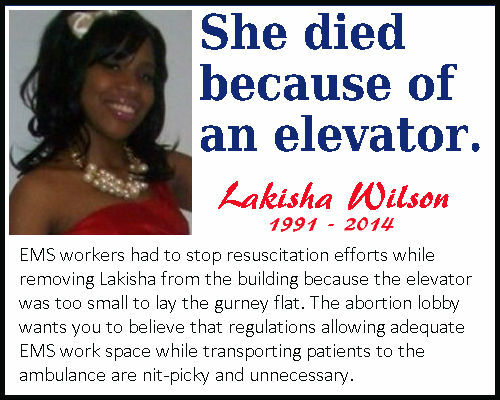 On this date in 2014, 22-year-old Lakisha Wilsondied because a clinic was not laid out to allow easy access by an ambulance gurney. Operation Rescue obtained the autopsy report . Lakisha went to Preterm Clinic in Cleveland, Ohio on March 21, 2014. She was 19.4 weeks pregnant. Further investigation by Operation Rescuereveals further details on the pathetic excuse for treatment Lakisha received at the clinic, as well as how the substandard conditions in the clinic contributed to Lakisha's death. After the safe, legal abortion, she began bleeding heavily because her uterus had become soft (atony). The procedure rooms at Preterm are on the third floor of the building. 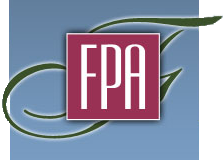 When emergency medical services arrived, the elevator was malfunctioning. They were delayed in getting the gurney to Lakisha due to this problem. When they entered the room, where Lakisha still lay on the abortion table with her legs in the stirrups, they found her abortionist, Dr. Lisa Perriera, trying to resuscitate her with a pediatric-sized Ambu-Bag. The IV for administering medications had been torn loose somehow by clinic staff. EMS began working to revive Lakisha, who had no pulse and was not breathing. The medics were able to get her heart going but were hampered in their further resuscitation efforts because the elevator was too small to properly accommodate the gurney; Lakisha had to be taken into the elevator in a seated position that did not provide adequate access to her airway. Several house later she was finally taken to Chase University Medical Center,where she was placed on life support and pronounced dead on March 28. Here is video, with 911 audio, of an ambulance call two years before Lakisha's death. This patient, like Lakisha, was hemorrhaging due to uterine atony. In this patient's case, the elevator wasn't working at all. Fortunately, she survived. On March 23, 1905, Mrs. Ida Pomering, a 30-year-old German immigrant, died in Chicago from an abortion performed earlier that day.Apollonia Heinle was held by the coroner's jury for Ida's death. Heinle was identified in a death record as a doctor, but is elsewhere identified as a midwife. This does not rule out her being a doctor, since female obstetricians were, at that time, typically called midwives. Heinle suffered no long-term ill effects from Ida's death. She was still a practicing midwife-abortionist in 1909, when the Illinois State's Attorney declared "war on midwives" as an approach to stamping out abortion in the state. Doctors, however, were also quite commonly identified as the guilty parties after abortion deaths in Chicago in that era. 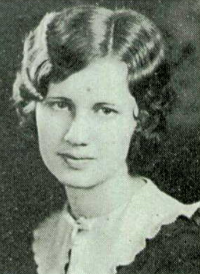 On March 16, 24-year-old Dora Swan of Chicago underwent an abortion at the hands of Dr. Louise Achtenberg. Achtenberg came to the home several times to care for Dora, but her condition was not improving. Her family called the family physician, Dr. C. S. Friend. He had her admitted to Englewood Union Hospital in Chicago to be treated. Dora died from post-abortion infection on March 23. Achtenberg, a doctor identified as a midwife due to her obstetric work, went on to be implicated in the 1909 abortion deaths of Stella Kelly and Florence Wright. She was also implicated in the 1921 abortion death of Violet McCormick. Later, in 1924, it was Dr. Louise Achtenberg who was held responsible for the death of Madelyn Anderson. In spite of all of these deaths, I can find no record that Achtenberg was ever incarcerated. On March 23, 1917, 19-year-old Mary Conners died at Chicago's County Hospital, refusing to name the abortionist who had fatally injured her that day. Abortions in Chicago at that time were typically perpetrated by physicians or midwives. The first death we memorialize today was highly unusual in that it was an amateur abortion. Anna Gosch's boyfriend, Mr. Edwards, admitted that they'd had a sexual relationship, and that she had called him to tell him that her period was late. He admitted that he went to the town of Kearney, and got a hotel room with the intent of perpetrating an abortion. Edwards wouldn't say what happened in the hotel room. He did say that the next day he took her to her home, and using a speculum he tried to insert a catheter into her uterus, which at the time was a method often used by doctors to cause an abortion. Edwards, however, couldn't get the catheter inserted. He said that Anna went upstairs and returned with a catheter with a wire in it, which would stiffen it for insertion. He said that the wire did its job in allowing him to get the catheter inserted. He then bent the wire and threw it away. A witness in the later trial, however, said that Edwards denied having done the abortion himself. He said that Anna had gone upstairs, then come down and told him that she thought "she had done it." Anna's abortion was unusual in that it was performed by an amateur, rather than by a doctor,as was the case with perhaps 90% of criminal abortions. A physician, Dr. Cameron, was called on Thursday, March 15, to care for Anna. He saw her twice a day until the Monday before her death. Dr. Cameron testified,"I asked her what had been done to make her sick, and she said there had been a man had passed an instrument into her with a wire in it, rubber with a wire in it. I asked her when that had been done, and she said Monday; she thought it was Monday night." When asked about who the man was, "She said he was a man who traveled for rubber goods or instruments of some kind, said he was a traveling man." Anna Gosch died on Tuesday, March 20, 1906, at 6:10 PM. Edwards was convicted of homicide. Anna's death is similar to the death of "Daisy" Roe, a systems analyst who died in 1990 after allowing her boyfriend to attempt to perform an abortion on her with a piece of aquarium tubing. Unlike Anna's boyfriend, however, Daisy's boyfriend was not prosecuted for her death. The other two abortions were typical Chicago abortions, perpetrated by physicians. On March 20, 1926, 19-year-old Alice Annalora died at the County Hospital in Chicago from complications of an abortion performed that day. Dr. Wilford Vine was booked for Alice's death, as was her husband, Joseph Annalora. Vine was indicted for felony murder. Ultimately, the coroner was unable to determine the legal status of the abortion that killed Alice, so Dr. Vine and Mr. Annalora were released. Alice's abortion was typical of criminal abortions in that it was performed by a physician. News coverage of the coroner's inquest into the March 7, 1875 death of 20-year-old Antoinette Fennor (Click on her name to learn more.) gives us an interesting glimpse into how abortion was practiced, investigated, and prosecuted in Brooklyn in the late 19th century, and how the public responded to abortion deaths. They certainly didn't take the bored, "You pays your money and you takes your chances" attitude I see people taking toward modern abortion deaths. The verdict was that Antoinette died of peritonitis March 7, 1875, from an abortion performed about February 26 by Mrs. Maxwell, whose first name I have yet to determine. During the trial, which took place in a packed courtroom, unlike the empty courtroom for the Kermit Gosnell trial, spectators glared at -- practically hissed at -- the defendant. On March 7, 1908, unmarried seamstress Nellie Shuff, age 26, of New Berlin, Illinois, died at Wesley Hospital in Chicago. Nellie had lived as a boarder in the home of widow Martha Scott. The coroner's jury determined that she died from complications of an abortion that had been perpetrated at a home on Forest Avenue. Seventy-one-year-old midwife Johanna White was arrested, tried, and sentenced to one to ten years at Joliet for the death. White was so old and feeble that she had to be carried in and out of the courtroom, and was not expected to survive the length of her sentence. Nellie's fatal abortion was typical of Chicago abortions of the time, most of which were perpetrated by doctors or midwives. The March 7, 1913 death of 16-year-old Edna Frederickson was tangled up in a tale of murder and intrigue. Edna was employed at a Chicago candy shop for $2 per week, and turned her wages over to her mother. Wanting to have some money for herself, and unhappy at home, Edna turned to a co-worker at the candy company, a married woman who went by the names of Lillie Dearborn and Kitty Young, who helped to arrange the abortion that took Edna's life. However, a tangentially-involved murder tended up gaining all the media attention. Inez Reed, age 28, died in San Mateo, California on March 7, 1919 after an abortion perpetrated by Dr. Eprhaim Northcott, a relative of the notorious serial murderer Gordon Northcott. I've recently found so much additional information on Inez's death that I have to completely rewrite her story. On March 4, 1975, Robert Julius Sherman performed a safe and legal abortion on 16-year-old Rita McDowell, who was in the second trimester of her pregnancy. Rather than admit her to the hospital for the then-standard saline abortion, Sherman performed a vacuum aspiration abortion usually used for first trimester abortions. When Rita was discharged, her mother was informed that she would probably expel the fetus that night. As they left the office, Rita told her mother, "Oh, Mama, I feel like I had one hundred needles in me." Rita did not expel the fetus. Instead, she developed a fever. Her mother called Sherman's facility on March 5 to seek care for her daughter. She said that Sherman would not speak to her, and that the receptionist told her to bring Rita in two days later. In the early morning hours of March 7, Rita awoke screaming, then collapsed in her mother's arms. Doctors at the hospital where Rita was taken removed the macerated fetus, but she died from massive infection just after midnight on March 8. Sherman plea-bargained, getting the murder charge dropped in exchange for a guilty plea on the perjury charges. The prosecutor defended the plea bargain on the grounds that the felony convictions would block Sherman from ever practicing medicine again. Sherman served two years in a federal prison, then set up a legal abortion practice in Boston. Gloria's uterus was punctured in the abortion. Tauber packed Gloria's uterus with medical gauze, which appeared to have controlled the bleeding. However, the next day he removed the packing and the hemorrhage resumed. She was not transferred to a hospital until 30 hours after she had been injured, and died despite an emergency hysterectomy. The medical examiner said that Gloria's medical history should have precluded performing an abortion in an outpatient setting. The medical board faulted him with failing to transfer to a hospital as soon as he'd had the bleeding stabilized with packing, and with trying to remove the packing in a setting where there was no blood available for a transfusion. A court-appointed panel found Tauber negligent in Gloria's death.